The water meter "Elehant" is a modern remote sensing solution. 1. Convenient readout - you don't need to search for access to the counter. The readings can be viewed either on a remote display installed in a user-friendly location or with a mobile application on a smartphone. 2.Automatic data transfer - mobile application "Elehant" in an offline mode transmits the testimony to the management company. 1. Timely and convenient to obtain evidence without having to get an apartment and collect data manually. 2. Possibility of unloading data from the personal account of "Elehant" in Excel, with further transfer to 1C and etc. 3. Decrease of common housing needs by combating unscrupulous owners. The "Elehant" counter is not affected by the magnet. 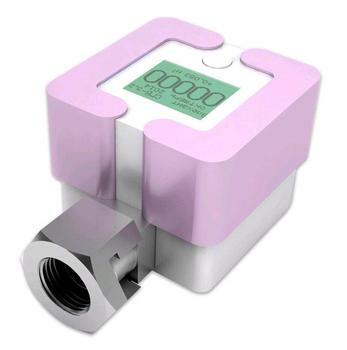 SVD 15 (110) - remote water meter with a diameter of orifice 15 mm, overall length 110 mm. SVD 15 (80) - remote water meter with a diameter of orifice 15 mm, overall length 80 mm. SVD 20 (130) - remote water meter with a diameter of orifice 20 mm, overall length 130 mm.